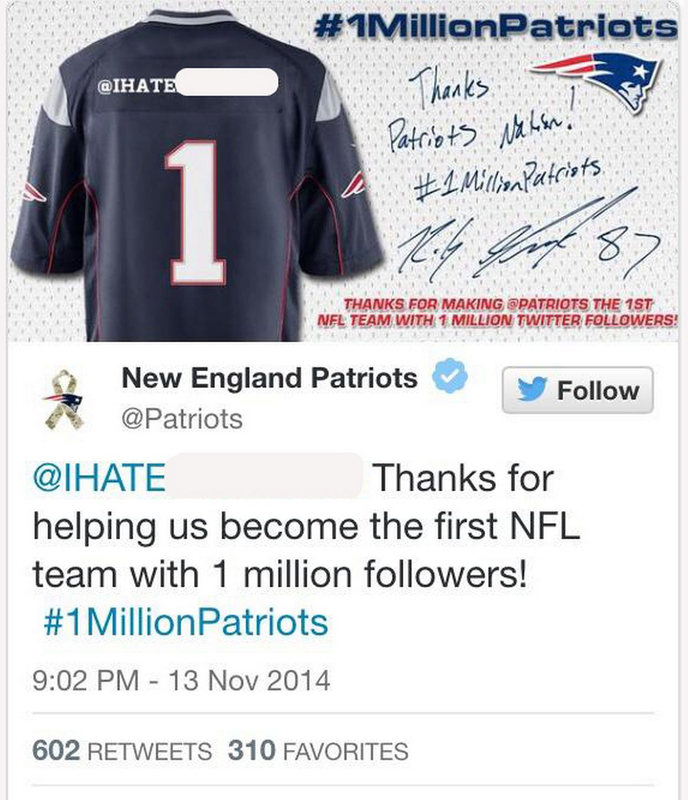 As most people saw last week with the New England Patriots, it does not pay to automate your social media. You never know what can happen. 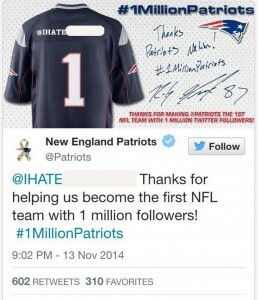 In case you haven’t heard or saw, a racial slur was tweeted by the Patriots’ Twitter account because they had set up an automatic tweet to congratulate their one millionth follower and it just so happen that that person had a less then desirable Twitter name. Being a New York based company our dislike for New England teams is no secret, but there is a lesson to be learned here. Automating social is like play Russian roulette, sure it may work most of the time but there is always that bullet in there that can get you. We see examples of automated tweets gone bad all the time. When we will stop doing this? The beauty behind social is that it lets us be real with our customers. It lets us have a conversation with them. How many times have you received an auto response from a brand’s social media page and it made you feel a little less connected with them? When we reach out to brands on social we are expecting a real person on the other end, acting human. Don’t think of social media as some chore that has to be done for your business. Think of it as a great channel to connect directly with your current and potential customers! It is a great one to one marketing tool. May we all learn that automating your social media feeds is NEVER a good idea.